Cannot get "Sioux Rapids" woeid in module "mod_sp_weather". 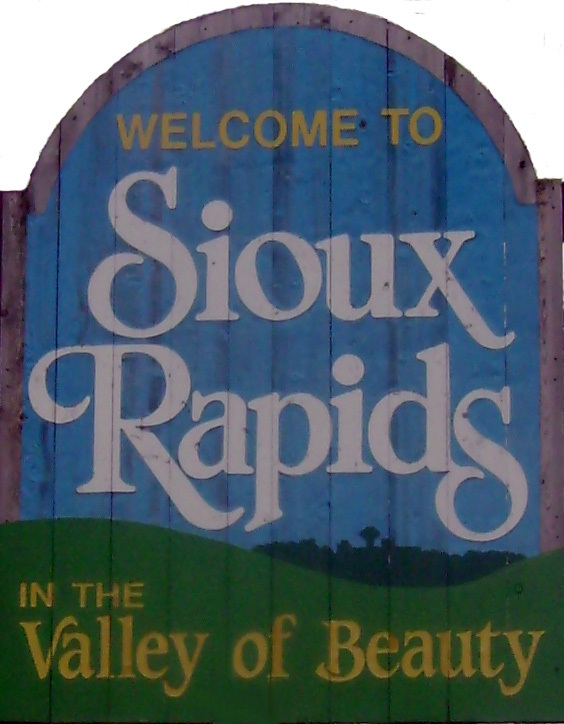 Sioux Rapids is hidden in the Iowa hills and is situated in the northern most part of Buena Vista County. This community enjoys a wealth of outdoor opportunities. The Gabrielson County Park located just south of Sioux Rapids, offers Gustafson Lake for fishing, a sandy swimming beach and picnic areas. There is a playground for the children and family activities. This friendly small town boasts of a community center and a wonderful K-12 Sioux Central School. Recreation is terrific in the city parks and pool. The Little Sioux River connects to Linn Grove and makes for great canoeing. A new housing district is filling up with new homes and still has lots availible. The first settler in Buena Vista County, Abner Bell, located in this area, and the community displays his cabin. This landmark, along with an 1875 county schoolhouse as well as the old Sioux Rapids Theatre Museum make up a complex of historic buildings for the community.